A few of my blogger friends replied. Thanks to Kim at TheySmell, Roo at Nice Girl Notes and Emilie at Baby Loving Mama for chiming in! 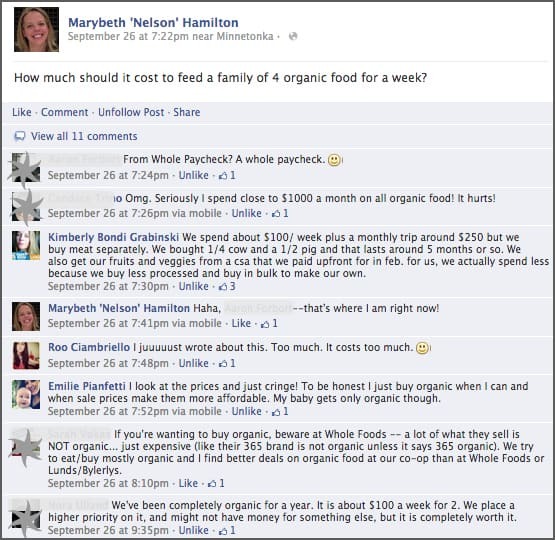 I have to say, I was shocked at the people who responded with their real weekly/monthly costs for organic food. I only buy organic food when it costs roughly the same as the non-organic equivalent, but I didn't realize exactly what some families spend on groceries each week. I posted that question to Facebook right after Whole Foods Market challenged me to feed my family of four organic food for a week for just $100. The responses from people were a bit discouraging, since my shopping adventure hadn't yet started. At the same time, it came to me that I obviously don't aspire to be rich beyond my wildest dreams: It actually gave me a bit of a thrill to know that Whole Foods thought I could spend far less than my friends and still feed my family three quality, organic meals a day for a week! As part of the challenge, my little ones and I got a thorough tour of our local Whole Foods Market in Minnetonka, Minnesota, complete with some useful savings tips, value-minded recipes, the Whole Foods Market store coupons that are available to everyone and a $100 gift card to fund our week's worth of groceries. Then, I did what all smart parents do if they have the opportunity: I brought the kids home so I could prep and do my grocery shopping by myself after my husband came home. The Whole Deal value guide is an in-store newsletter with coupons, savings tips, recipes and product information. The newsletter can be picked up right at the front of the store or it can be viewed online. Budget-friendly recipes: The Whole Foods Website has nearly 100 value-minded recipes that help keep money in your wallet. In-store daily specials and promotions: There's a Weekly Values flyer that features discounts on particular items for the week. This flyer can be found near the Whole Deal newsletter at the front of the store. You'll also usually see lots of signs all over the store highlighting the Weekly Values. Whole Foods Magazine: The Whole Foods Magazine (I found a big stack in the coffee area with the tables and chairs) had a handful of valuable coupons in it! Reusable Bag Refund: You'll get $0.10 off your total for every reusable bag you bring from home to use. I learned that you can usually get the credit if you bring your own box or anything else to carry your groceries home that saves the use of one or more disposable bags! Buy in bulk when the price is right: I was very surprised to find dried organic black beans in the bulk food section for just $0.99 a pound. That's an excellent price, so I bought three pounds. I prepared them all at once, used some right away and froze the rest in 1-cup portions. Whole Foods Market also offers 10% case discounts if you buy an entire case of any item! Find and use Whole Foods coupon matchups: Don't spend your precious time trying to combine all the sale items with available coupons–there are websites who have already done the work for you! The Thrifty Mama's Whole Foods coupon and deal matchups show you the best ways to easily save cash with coupons. Eat less meat: Meat is expensive and we don't necessarily need it. Find other ways to consume enough protein and try to provide meatless meals more often than not. In my opinion, the key to successfully feeding my family organic food for a whole week with a budget of $100 was planning each and every meal. The coupons and deals provided a basis for the meals I could make around the food I could get at deep discounts, and the rest of the menu plan was formed after those meals were figured out. The only ingredients I didn't buy that I needed for this menu were brown sugar and chili powder. I would have bought chili powder from the bulk spice area, but it wasn't available the day I shopped. I estimated that I would have spent roughly $0.25 buying the amount of organic chili powder I needed. I didn't buy the brown sugar because I fogot to add it to my shopping list. After I got home and reviewed the groceries and my menu, I realized we're lacking in snacks that are quick and portable. Grapes work well, but I only bought a pound to stay within budget. My kids make a mess of bananas in the car, so those aren't an option either. If I had more wiggle room in the budget, I would definitely throw in granola bars, crackers, fruit snacks and other fast munchies. One issue that you might have with the menu is the appearance of a lot of meatless meals. My kids generally don't care for meat, and I like that meals can prepared much faster when raw meat isn't an ingredient. My husband and I used to eat a lot more meat, but we've inadvertently phased much of it out of our meals and neither one of us miss it! As for the repetitious lunches, my little ones and I are total creatures of habit. There was a period of time when my son would actually cry if he didn't have a PB&J for lunch, so he and Piper have had the same kind of sandwich for lunch for a long time! I could live off of turkey sandwiches, so I can easily have one for lunch every day. Expensive milk: Organic milk is $6 a gallon. There were no cheaper options, and I didn't have any coupons for it. I had a coupon that landed me a free quart of soy milk, so I used that it the baked oatmeal and cornbread. Using free or cheap “milk alternatives” when baking or cooking is a good way to save money on milk. (You'll also avoid the protests you'd usually hear when serving anything other than the milk your little ones are used to!). Expensive eggs: I was overwhelmed by all the egg options at Whole Foods, and I was surprised that the cheapest organic eggs were a whopping $3 a dozen! I used the eggs when I baked and for a few breakfasts. Limiting Produce Spending : It's very important to only buy the fruits and veggies that are in season andon sale. In season helps ensure top quality, and on sale keeps your grocery budget in check. You need to plan around both of these factors or you're almost guaranteed to bust your budget on fresh produce. 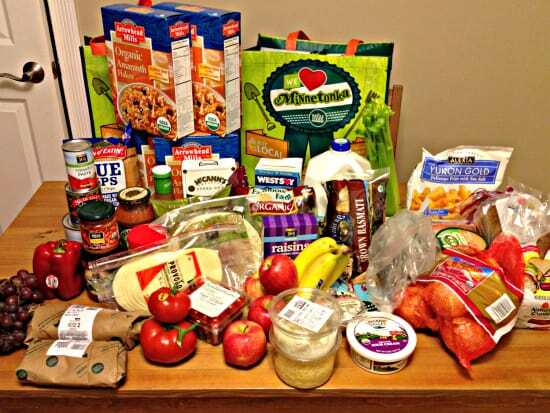 Was I able to get all the groceries I needed for a week of organic eating for $100? Answer: YES! I spent $101 on all the groceries pictured above. The caveat is that it was time-consuming process. 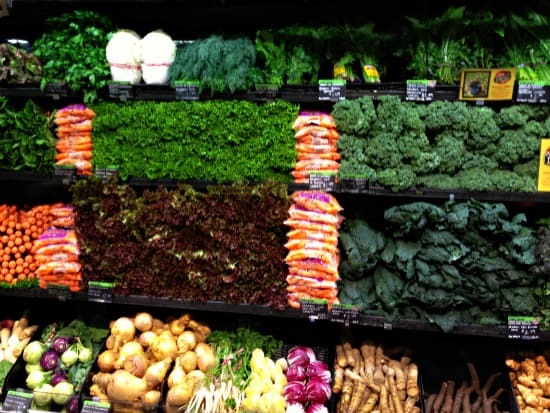 I know eating organic on a budget would likely get easier as I had time to monitor sales, stockpile certain items and gather coupons for items my family liked. Doing it all in one shot with little lead time meant I spent a while before shopping finding coupons and reviewing matchups. Shopping also took a few hours. I compared shelf prices for nearly everything on my shopping list, calculating unit prices and if the name-brand with coupon was a better value than the store brand. But you'll spend time making that happen. Is it worth it? I think so! We ate very well the week we dedicated to our organic menu plan, and it felt really good to know that there was no extra “junk” in our foods and in our diet! 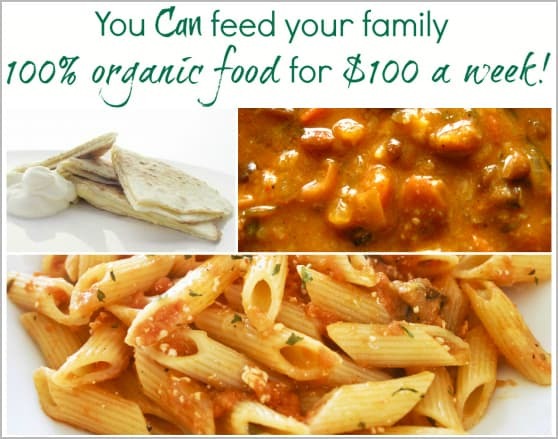 Do you want to try to feed your family on $100 for a week? You're in luck, because I'm giving away a $100 Whole Foods Market gift card! Want to win a $100 Whole Foods Market gift card? 1 lucky reader will win a gift card. Enter the giveaway in the Rafflecopter box below. If you can’t see the Rafflecopter widget, visit this BabySavers giveaway page and wait a few seconds for the box to load. Disclosure: This article and giveaway were provided by Whole Foods Market. All opinions expressed are 100% my own. My favorite way to save on organic is to buy in bulk and split the price with my sister. My sister and I will go in on purchases together – thats the best way I save. I always browse the clearance section at my regular supermarket. Since organic products spoil quicker, I am more likely to find the deals there! I buy from the bins on things like organic sugar and nuts. It keeps me from wasting any money on unused portions! Last night I spent almost $200 on mostly local, all organic food. I also try and avoid any organic brands that are linked to major supermarket brands since I refuse to support any company (or parent company that uses GMO’s) but we will eat this food for a week and a half (alright to veggies and fruit will only last us a week, but the meat/ protien options will last longer. I buy both hamburger (from grass fed cows) and roast in bulk and cook it all up at one time freezing the hamburger in 1 lb containers in my freezer, I also make a lot of things like granola bars, and fruit snacks from scratch, that way I know what is in them and I can make portion sizes that fit my family (mini granola bars for the kids!) I also buy my grains in bulk to help save – it takes planning but I spend less a week on groceries then many people I know, and we eat mostly local, organic food. I am wanting to shop at whole foods more often and it is super expensive so I am still looking for tips. My favorite thing to get there is their food bar which is SUPER expensive, but it’s the only thing I wanted and could eat when I was in the nausea phase of pregnancy. Your post has inspired me, we tried eating less meat a few weeks and I really didn’t miss it either, it just takes a lot of prep. work. I also went to Trader Joes for a few less expensive organic produce items. I only buy organic for the dirty dozen. We purchase fresh mango at whole foods. Best produce ever! I save by not wasting…when bananas start to get over ripe, I freeze them into banana-pops. When other fruits are getting past their prime, I freeze them to later be used in smoothies or blended into plain yogurt. When veggies are getting past, especially spinach – I puree it and then mix it in to eggs to make “green eggs and ham”. Other veggies get steamed and frozen! Not only are these nice organic fruits and veggies there when I need them, but I’m not throwing money away! My favorite item to purchase at Whole Foods is toddler snacks for my sons. I do not really save money on buying organic, I pay the prices because I recognize that they are the best choices for my children. 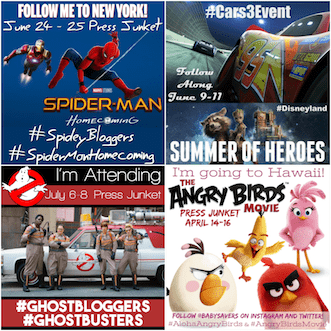 I shop the sales and LOVE their printable store coupons. I love the produce and coffees at Whole Foods. I buy in bulk and I bring my own bags. I have a few stores around here that sell organic produce so I find the ones that sell the product that I want cheapest and buy it in larger quantities. I like to shop at Kroger for the items that are getting out of date- then they mark them down. Coupons! Whole Foods will take their store coupons stacked with a manufacturer coupon. So sometimes you could have a $1.00 whole foods coupon stacked with a $1.00 manufacturer coupon, can be a sweet deal sometimes! We get our meat in bulk as a tweet mentioned above. A side of beef or pork is so much cheaper than buying it at the store. We buy in bulk and freeze the rest! I love going to the farm market near us and also getting organic foods at Costco! My favorite items at Whole Foods is tofu stroganoff from the prepared foods section. My favorite item to buy is bulk granola to make homeade granola bars. Yum! Mmm, I love their jalapeno bread at Whole Foods. Yum! whole foods makes the best salmon! Well, like you, I have to spend a lot of time perusing the values, and pounce when there is a good sale, but you need to be apprised of what is a good deal as compared to online vendors, and also grocery stores. One of my favorite items at Whole Foods are organic produce, when it is on sale. I buy fresh produce locally and also grow my own in my backyard! I hit the grocery store a few times a week, and buy organic items marked down. We eat them within a few days before they expire and save a ton! Look for sales and coupons on organic items. I watch the sales and use coupons when I can. I have never been to Whole Foods, we just had one open now too far from me. I heard they have a good selection of Gluten free food, so cant wait to try it! I buy grains, beans and spices from the bulk section at Whole Foods. I love to buy soup from Whole Foods as well as the Honest Tea juice boxes! Only buy what you plan to make so it doesn’t go to waste! I am trying to start to buy more organic and cut my grocery bill. We tend to spend about $200 a week on groceries. I want to get that down! 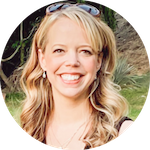 My husband and I have remained committed to a 100% organic diet for ourselves and our children since our first child was born. It has been financially challenging at times, especially during the times I have been unemployed, but i believe investing in our health is priceless. Our weekly average is around $120 for our family of four and that comes from a combination of Whole Foods, Farmers Markets, Trader Joe’s, and CSAs. To help us be successful, we shop in bulk, we buy items on sale, we buy less meat, and I make a lot of things from scratch. We also shop thrift stores and consignment sales quite a bit to save in other areas. I only buy produce that is in season and look for reduced meat and milk. It can be frozen so you can use it later. We have a local outlet food store that I find most of our organic foods. For other organic I have to pick up at Giant Eagle. I have never been to Whole Foods but I really want to go! This would be so exciting to win! We save organically by cutting our meat recipes in half. We try to not eat much meat anyways but when we do, we use half of the meat that is called for. With meal planning you can save tons of money. I’m impressed that you managed to do this at WF and stay within your budget. Thanks for posting! I love the peanut butter than you can make at Whole Foods using their machines. Thank you so much for sharing all of this – you’ve really inspired me to save more on groceries, especially since I’m only shopping for two. 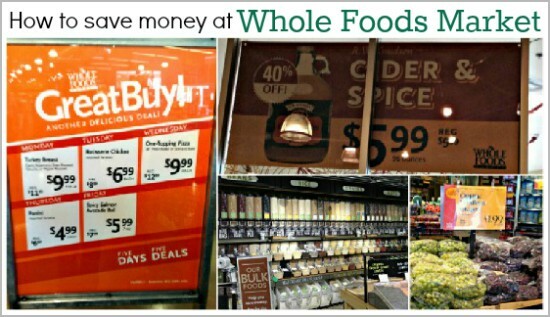 I shop a lot at Whole Foods – can’t be the quality – but didn’t know about all these ways to save money. Can’t wait to put them to good use! I love the bulk section at Whole Foods! We stock up on things we use a lot like beans, rice, flour, etc. I love all the fresh produce at Whole Foods. I plan my meals around produce that is in season. I love how you did a menu/grocery list for a weeks worth of Organic Meals, I WILL be using this! Thanks! I only buy in season and on sale organic produce! I love getting organic tomato pasta soup for my milk allergic toddler at Whole Foods! I stock up on items when they are on sale, such as Mac & Cheese. I love buying gluten-free products at Whole Foods, since I can’t get them as easily at regular grocery stores. Quinoa is the most frequent purchase. Whole foods is the only place i can find Pink Peppercorns! To save money on organic food, shop locally. I love the sales and coupons! I like to get organic chicken from Whole foods.. I like grass fed beef from Whole Foods.